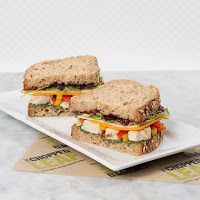 WestJet announced today that it has partnered with fresh casual restaurant, The Chopped Leaf, in a move that will see the restaurant's whole-food offerings available on board WestJet aircraft. WestJet has partnered with fresh casual restaurant, The Chopped Leaf, to offer the restaurant's whole-foods on board WestJet aircraft. WestJet and The Chopped Leaf have a common goal to break down the 'airline food' stigma," said Rossen Dimitrov, WestJet Chief Guest Experience Officer. "The ingredients in our new menu have been sourced to provide healthier options with quality and taste in mind. 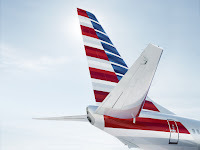 We continue to evolve our onboard offerings to meet the needs of our 22 million annual guests." "WestJet values are very similar to ours at The Chopped Leaf," said Nick Veloce, Innovative Food Brands Inc. President & COO parent company The Chopped Leaf. "We want to ensure our customers are delighted with their food experience and take great effort in making sure that each person who visits our locations leaves with a positive experience. This partnership with WestJet is now perfectly aligned to delivering on this wherever our customers are." Ingredients in The Chopped Leaf items are made from real food including whole grains, vegetables and meats that contain little to no preservatives. Specific menu items can be viewed in the onboard menu in seat pockets of WestJet flights. The Chopped Leaf meals will be rotated throughout the pre-purchase and buy-on-board menus as more products and variety are developed. WestJet will offer guests on more than 250 daily flights the ability to pre-purchase or buy-on-board whole bowls, multi-grain sandwiches and salads. The Chopped Leaf products will be available for purchase on flights beginning November 15, 2017 and pre-purchase is available now for flights starting the same day.